Samantha Lynn Farnsworth was born Dec 9, 1941– two days after Pearl Harbor, in Mesa, Arizona with the given name of Gwendalyn Webb, and her siblings referred to her as “Sis.” She later legally changed her name to Samantha Lynn Webb. Samantha passed away peacefully surrounded by family on August 7, 2017 after a battle with Alzheimer’s Disease. Samantha grew up in Joseph City, Arizona and graduated from Holbrook High School in 1959. She went on to attend Northern Arizona College (now NAU) where she obtained a degree in Journalism. Samantha had a colorful work history. Out of college she was employed as an airline attendant based out of San Francisco. After putting her “stewardess” uniform away, Samantha ran public relations for a casino in Nevada. This was where she met the likes of Cher, John Wayne, Glen Campbell, Frank Sinatra, Bing Crosby, Dean Martin, Johnny Cash, Sonny Bono, Hank Williams, Dolly Parton, Kenny Rogers…and many other celebrities of that time period. She was the neighbor and friend of Sammy Davis Jr., in Lake Tahoe, NV. One of her favorite and regaled memories was when one early morning on the shores of Lake Tahoe, Elvis Presley was coming off the water from skiing. It was early, around 5:00am. Much to her delight, he danced around in the sand with her baby girl, singing Love Me Tender. This may have been the highlight her life, a life that anyone that knew her would agree was lived to the fullest extent. Samantha lived with her family in Lake Tahoe, NV when she worked as a Washoe County Dispatcher. She and her boys loved to snow ski and boat. After returning to Arizona in 1975, she initially worked for the Chamber of Commerce in Winslow, AZ, where she was interviewed on TV twice and met the Governor of Arizona. When she moved to Snowflake in 1977 she began her illustrious career in the papermill. She started out in the paper industry as an Executive Assistant and worked for three General Managers (“Mill Managers”) before being promoted to Systems Vibrations Analyst. As she pioneered Systems Vibrations Analysis, as a leader in the field, Samantha toured the country to both teach and train the industry. She was published in multiple magazines for articles she wrote or were featured in. She finished her career in Idabel, Oklahoma before returning to Snowflake, Arizona in 1985. In 1989 Samantha moved to Grenada, MS where she donated her time to GLAD teaching the underprivileged elderly how to read. After her husband, David Gibson passed away in 1996, she moved to Parker, Page, and finally Ft. Thomas Arizona, where she enjoyed being an Arizona Ranger. She was married to Ivan “Ike” Farnsworth in 2000. Samantha was well loved and knew how to have a good time. 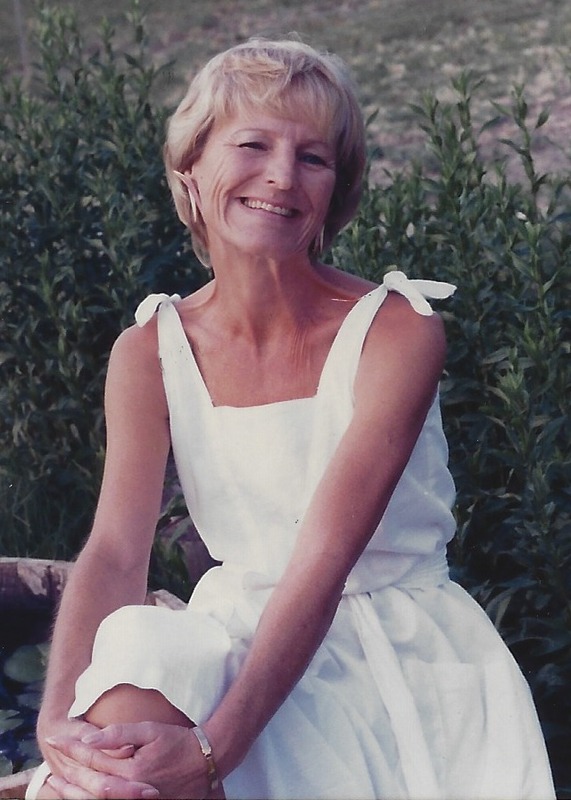 She had room in her heart for everyone in her life, and maintained lifelong friendships. Some of the most special people to her besides her own children and siblings were her step kids and grandkids, whom she loved as her own. Samantha loved to dance, was an avid reader of books and poetry, a writer, a master gardener, and loved to travel. Most recognized her from the fun convertibles she drove around, including her ‘77 MG Midget. Samantha loved her rescued Besenji dogs, or whichever her current rescue was. She had hundreds over her lifetime. Samantha’s very best friend was her sister, Darlene, and oh how much fun they must be having in Heaven now. Samantha is survived by her three children, Danielle (Dirk) Hancock of Snowflake, AZ, Dayton Livingston of Phoenix, AZ, and Larry (Lori) Young of Tucson, AZ; brothers Edwin (Zella) Webb of Holbrook, AZ, Leroy (Jean) Webb of Clinton, UT, and Kelcey (Cindy) Webb of Cheyenne, WY; four grandkids, James Young, Jared Young, Kelci Hill, Dirk Gary Hancock; great-grandchild, Laker Hill; many beloved nieces and nephews. She is preceded in death by her husband, David Kent Gibson; husband, Ivan “Ike” Farnsworth; mother and father, Gwendolyn and Burr Webb; sister, Darlene (Steve) Smith; and nephew, Patrick Smith.